The Art Museum: " Portrait of a Lady: Isa Dreier "
Serendipity is a word that I like very much, and it's the word that I would use in describing my accidentally finding this little art book during an internet search for something else at the time. The book is an homage to a special person and artist, and is the catalog to a posthumous art show of Mrs. Dreier's lifetime of artwork put together by her family. Many years ago I had the pleasure of knowing the Dreier family, and had been at the house a few times when Mrs. Dreier was there. What I mostly remember of her was her sunny personality and smile, and her rosy cheeks. I recall that she liked to take walks in the woods, and one day as I was arriving, she was on her way out the door for a trek wearing a straw hat tied on with a ribbon that framed her cheerful face. I thought at that moment that she seemed to have a love of living life in her that I admired...a feeling which was foreign to myself at the time. Isa's husband was a US ambassador (which must have been similar in arduous responsibilities to being a military wife), and they had three children. 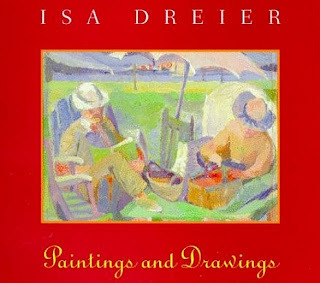 Through the book I discovered that Mrs. Dreier loved her art as much as her family, and she never gave up creating during her years as wife and mother, irrespective of how those duties might have slowed down her opportunities to create as much as she would have liked. 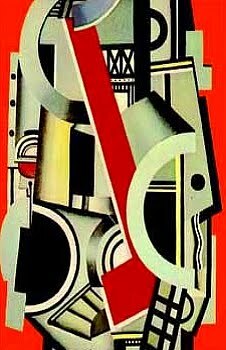 The styles of her paintings and drawings vary greatly, and are as unique as her personality. Some are delicate, whimsical, and soft. Others are more serious and bolder. They all possess the quality of life that I noticed in her as we passed through the door years ago. Please check out this small book if you get the chance.